To my relief, the postmodernity continues with no loss in teh funny. I think the narrator needs to stop soon, though, and eventually I think the censorship jokes (didn’t they promise to fight the network?!) will start getting repetitive. 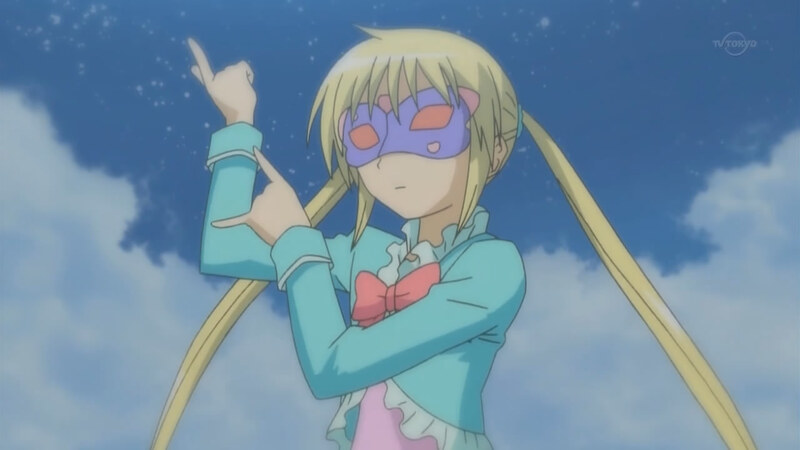 I said in my first post about Hayate that I was hoping this show would be the shounen version of Ouran High School Host Club. After seeing these episodes, I think I misspoke; I think it’s really a lot more like School Rumble. Like School Rumble, and unlike pure parody shows like Excel Saga, there is meaningful continuing plot and character. There is a genuine emotional core to the show, which you can see in the relationship between Hayate and Nagi, even if at this moment it’s a fairly typical tsundere-type relationship. 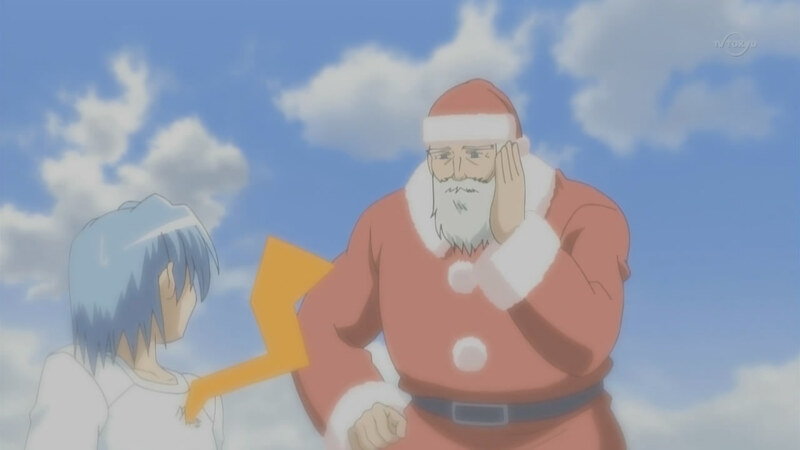 But like School Rumble the show seems determined to make fun of a whole wide range of anime. The Gundam jokes were out in full force in the second episode, and the Roujin-Z an even Evangelion references out in the third. And so far, I think it’s working. I laughed heartily at the bleeping out of various franchise names, whether it be Gundam or Sony. Finally, there’s Nagi herself and her otaku tastes. What is it with this season and girls who are into anime? First the Aya character in Lucky Star and now this…is it just otaku fantasy that there would be a girl who is just as ardent a fan? (AFAIK female fandom in Japan is significantly smaller than it is here in America.) But it’s turned into a great base of jokes, like with the funny Sailor Moon parody at the start of the third episode. 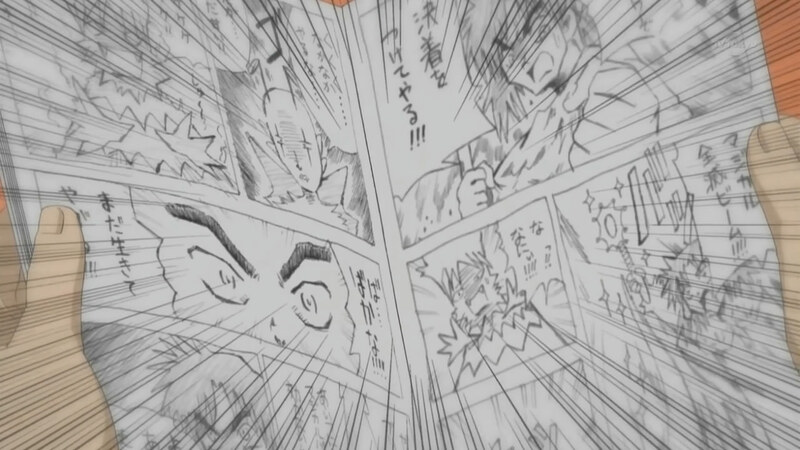 I suppose Nagi’s parallel in this case is Harima in School Rumble–they are both aspiring manga artists–though Nagi is far closer to a standard otaku, in that she loves fighting games (I found it hilarious that she has separate rooms just for a Dreamcast, a Playstation, and a N64–dated consoles though!) and she seems to be getting her cues from the cheesier kind of anime. Especially with her “secret identity,” which is an absolute hoot.